This CD is filled with prophecy, declaration, healing scriptures and a vibrating, echoing sound of God moving in the NOW. 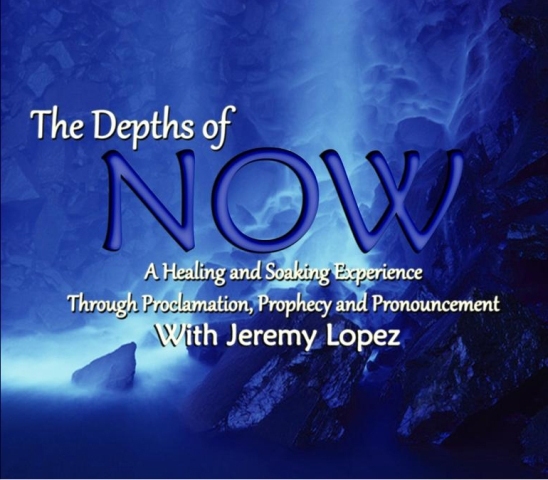 As you listen, Jeremy Lopez speaks many prophetic words of what God is saying in this hour of how His people need to shift and listen to the voice that is speaking in the here and now. Also you will hear Psalm 91 which was spoken so long ago but now brought into the NOW dimension for your life today. Get ready to experience what the I AM would say to you in this hour.